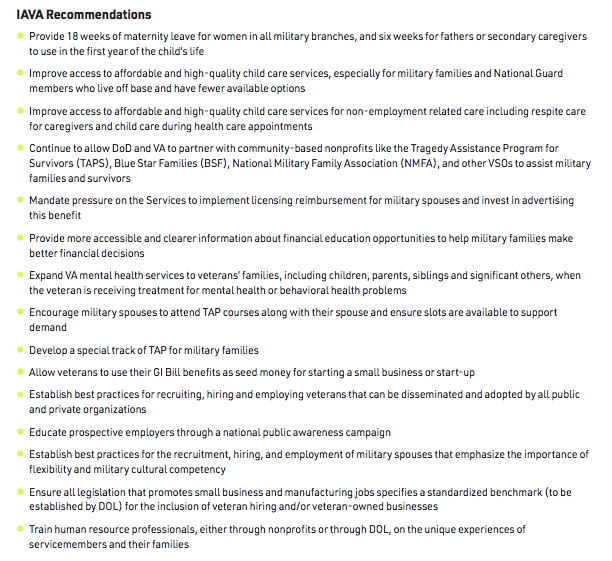 The military lifestyle can present significant challenges for military spouses and children. 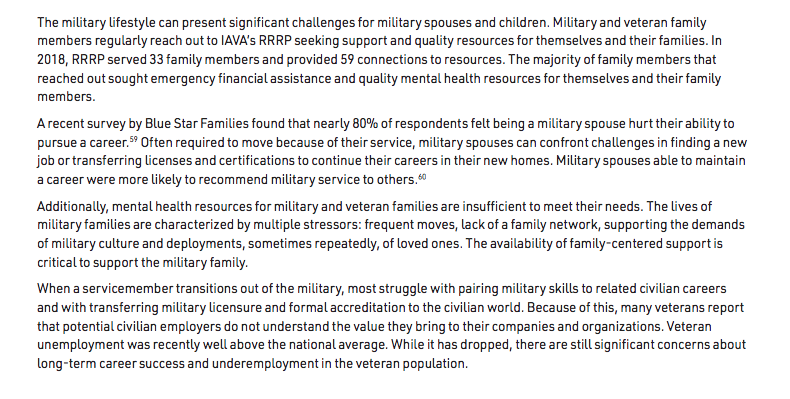 Military and veteran family members regularly reach out to IAVA’s RRRP seeking support and quality resources for themselves and their families. In 2018, RRRP served 33 family members and provided 59 connections to resources. The majority of family members that reached out sought emergency financial assistance and quality mental health resources for themselves and their family members.